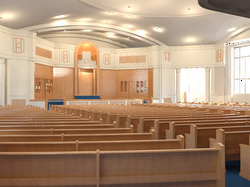 Religious - Ganek Architects, Inc.
Over fifty years ago KI's classic 1920's sanctuary was remodeled in a 1960's aesthetic. 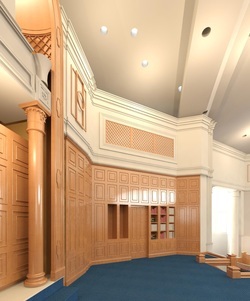 GAI was asked to provide design services for the restoration of the original design including beautiful book matched paneling and sculpted Aron Kodesh. 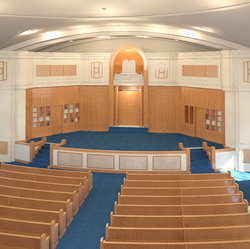 Lazarus House Ministries helps support its shelter facilities for the homeless with its thrift stores. 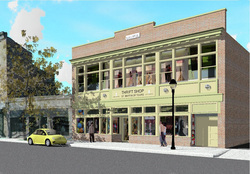 GAI designed the facade renovation of its Lawrence, MA store in conjunction with the city of Lawrence's retail facade improvement program.